1 October 2015 in front of his $18,000 per month apartment, paid for by the university. Over the past year CUNY professors and staff have been out in the streets protesting their five-year contract dispute with the university. 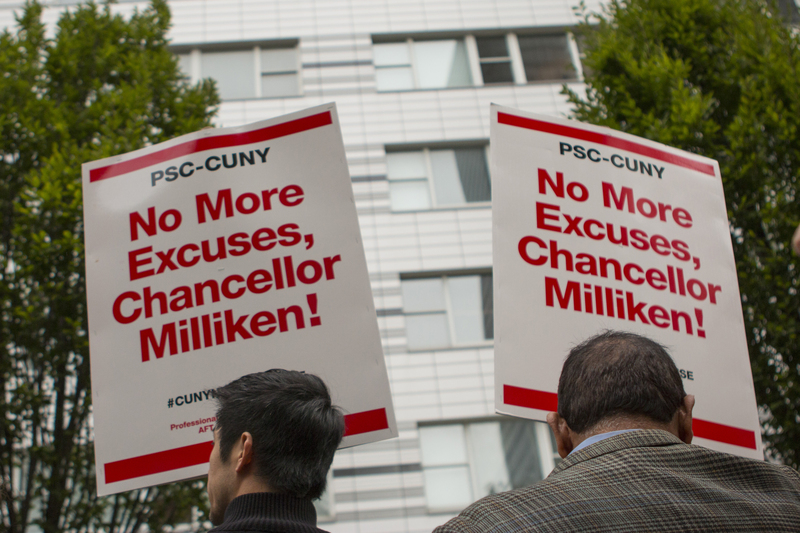 With 83 percent of the city’s unions under contract, PSC-CUNY is left as the largest union without a contract, leaving 5,846 employees without scheduled raises. In a recent email to CUNY professors and staff, PSC President Barbara Bowen told union members that they are prepared to strike if CUNY management fails to put a reasonable offer on the bargaining table. 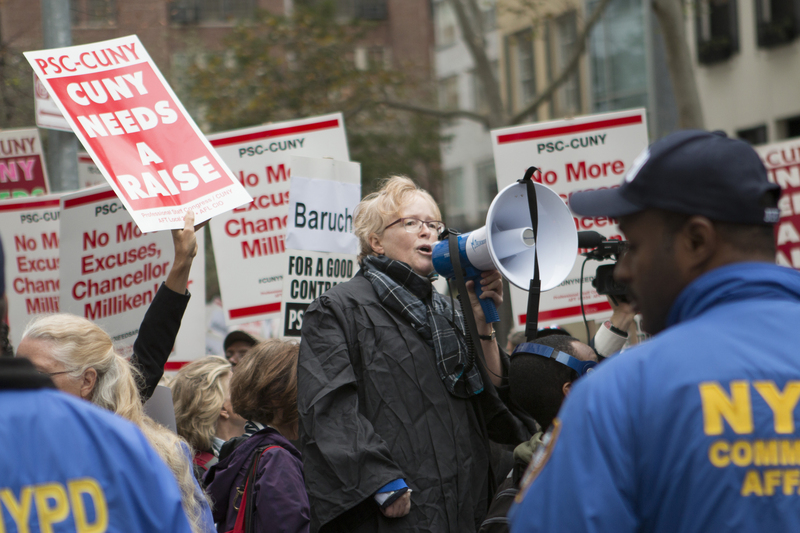 PSC Union President Barbara Bowen leads CUNY faculty and staff at a protest this past month as they call for an end to the contract dispute that has left them without raises for six years. Protestors take a photo with their union-made signs and alarm clocks, telling the Chancellor to wake up and end the five-year contract dispute. 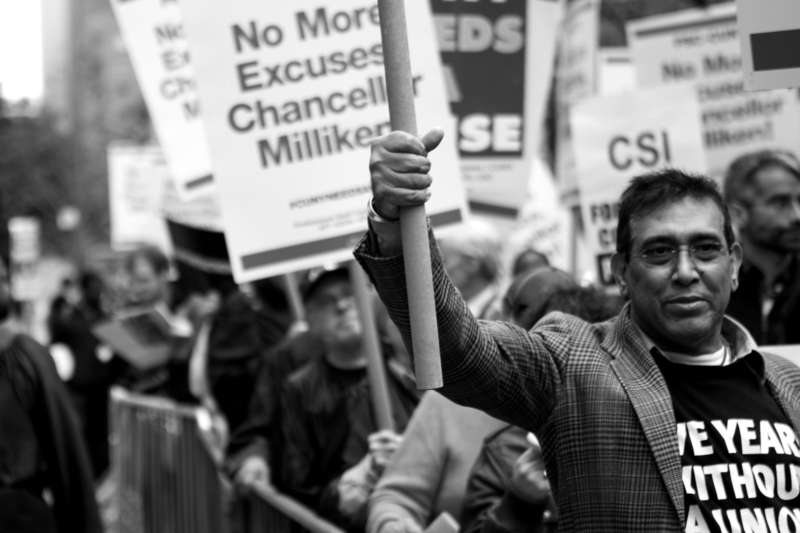 CUNY professors and staff protest in front of Chancellor Milliken’s $18,000 per month apartment, which is completely paid for by the university. 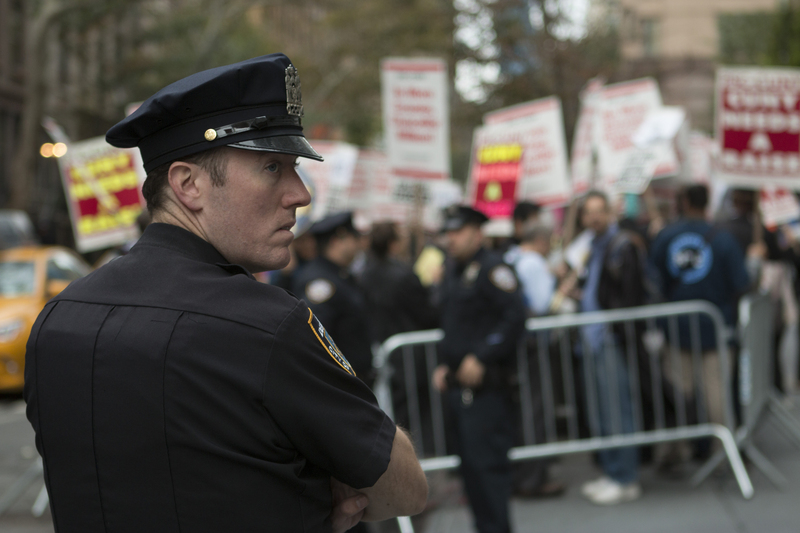 NYPD officers maintain a perimeter around the entrance to Chancellor Milliken’s apartment. PSC Union members want an end to the Taylor Law, which makes strikes and work stoppages illegal in New York State.